The Express by Case-Mate is a vertical nylon flip iPad case with a magnetic-fastener. The exterior of the iPad case is made from plastic fiber that repels water. The soft interior protects the screen. 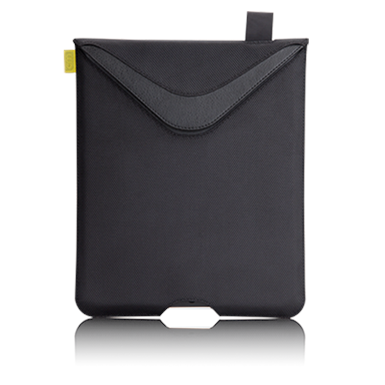 There is also an opening at the bottom of the iPad case for easy access to charging while the iPad is inside the case.